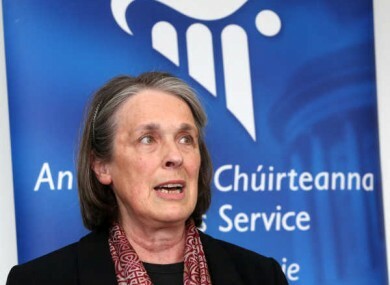 A REPORT BY a major European anti-corruption body has commended the Irish judiciary for it “independence and integrity”. The Group of States against Corruption (GRECO) is an affiliate of the Council of Europe and today’s report focuses specifically on the Irish parliamentary and judicial systems. It was found that the Judiciary and Prosecution Service were thought to be among the “most trusted public institutions in Ireland”, with the independence and professionalism of judges here described as “undisputed”. In contrast to this – and in keeping with a trend common across Europe – political parties and politicians enjoy low levels of trust, despite the legislative process in Irish Parliament being considered to have a high level of transparency. We, as a nation, value the principle of judicial independence and it is important that this principle is recognised by an international evaluation team such as GRECO and that the independence and professionalism of our judges is undisputed. The Irish Judiciary is very conscious of the critical importance of – and will continually work to maintain – that trust which the public reposes in it, which is founded on the principle of judicial independence as guaranteed in our Constitution, and which every judge solemnly commits to uphold on being appointed. The report looks at corruption in respect of judges, members of parliament and prosecutors. It is noted in the report that their has been a growing concern about corruption in Ireland since the conclusion in 2012 of the Mahon Tribunal - which had examined corruption allegations in relation to planning permission and rezoning issues. In specific relation to parliamentarians, it is noted that corruption had increased – although from a fairly low initial level. Today’s findings acknowledged that “despite not having been considered as particularly affected by corruption” – anti-corruption policies had been introduced in Ireland over the past number of years. The report makes a number of recommendations as to improvements in the way that the Irish lawmaking and judicial system could be run. For members of the Dáil and Seanad it is recommended that further protection should be afforded to whistleblowers under the House of the Oireachtas Act 2013. It is also recommended that members of both houses be required to make wider declarations about their financial interests – and that these include declarations relating to the interests of “close or connected persons” to themselves. As part of the report, it is suggested that an independent statutory council be established for the judiciary. It is also noted that the reduction of public salaries due to the financial crisis may have compromised the constitutional safeguarding of judges independent and professional standards. Email “Irish people seem to trust the judges and the legal system... ”. Feedback on “Irish people seem to trust the judges and the legal system... ”.